Provide comfort for the family of Barbara Craika with a meaningful gesture of sympathy. 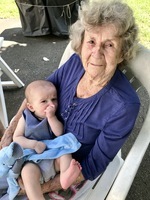 Barbara (Norris) Craika, 87, of Windsor Locks, beloved wife of the late Michael Craika peacefully passed away on Friday, Feburary 1, 2019, at St Francis Hospital. Daughter of the late, Wiliam and Florence (Scollon) Norris, Barbara was born on July 24, 1931. She worked for many years assisting others as a nurse’s aide. In her free time, Barbara enjoyed trips to the casino, word searches, and working outside in her yard. 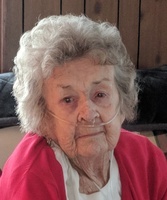 She is survived by her children, Tina Coventry, Karen Jones, and Debbie Arnold; her sisters, Cheryl Glisson, Ann Norris, and Olga Norris; her grandchildren, Samantha, Megan, Charles, Brian, Jason, Nick, Jessica, and John, and 8 great grandchildren. 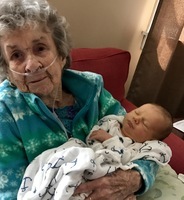 In addition to her loving husband, Barbara was predeceased by her sisters, Joan, Margret, and Florence; her brothers, Richard and William, and one great grandchild. Relatives and friends are welcome to join the family during visiting hours on Tuesday, February 5, 2019, from 4 pm to 7 pm at at St. Robert Bellarmine Church, 52 South Elm St., Windsor Locks. Burial will be on Wednesday, February 6, 2019 at 11am in Grove Cemetery. 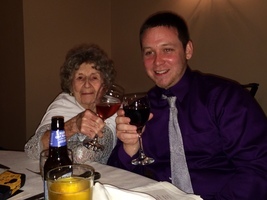 Contributions in memory of Barbara may be made to American Cancer Society, P.O. Box 22478, Oklahoma City, OK 73123. For online expressions of sympathy or directions please visit www.windsorlocksfuneralhome.com. Provide comfort for the family of Barbara E Craika (Norris) by sending flowers. I am so sorry to hear about Barbara! She always had a great smile!! Always loved meeting up with her and talking about old times. Times are changing and we are now becoming the adults of the families. I often long for the "old days" but mostly I long to see all those that were there when we were kids. Aunt Margaret, Uncle Bim, my mom and the whole family!! I loved also seeing Joan when she would come down to church and have dinner. Those were the days as they saying goes. My heart goes out to you all and pray that your hearts mend.